Start reading or listening now. Born and raised in Mobile, Alabama, Lauren now lives with her husband and two young daughters in Homewood, just outside Birmingham. In addition to her fiction, she writes a monthly newspaper column about life, faith, and how funny (and hard) it is to be a parent. On any given day, she’d rather be at the beach with her family and a stack of books. Her debut novel, The Hideaway, is USA Today, Wall Street Journal, and Amazon Charts bestseller. Her second novel, Hurricane Season, released in April, 2018 and was listed on BookPage’s 2018 list of Most Anticipated Fiction. 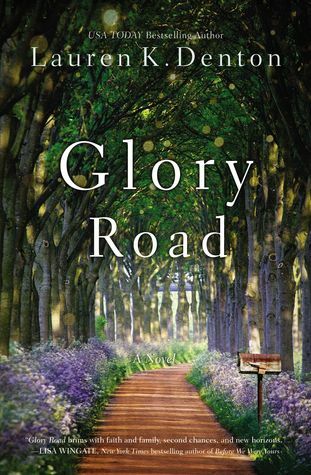 I really liked the description of "Glory Road". I enjoy reading Southern fiction and this sounds like a great read. This is one of my 2019 favorites. Loved the story, and the way the author tied in the 3 perspectives. I love this cover so much, I just want to frame it. I'm hearing so many great things about this book I can't wait to read it for myself. Thanks for being on this tour! 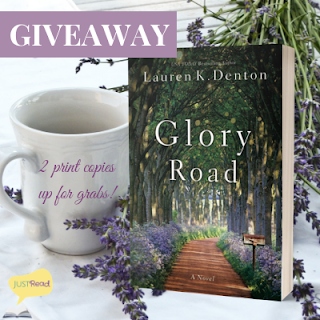 Glory Road sounds like one not to miss. Thank you for sharing.